Leading Manufacturer of heavy duty degreaser and alkaline degreaser from Pune. Keeping in sync with the latest market norms and policies, we are indulged in providing a high quality range of Heavy Duty Degreaser. 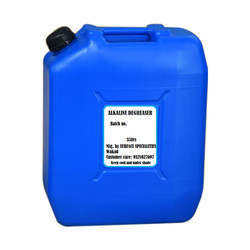 In order to retain remarkable position in this industry, we are providing a wide array of Alkaline Degreaser.